Google Glass is a technical masterpiece. It combines numerous functions and features in a very small unit. In addition to phone and camera (photo, video), it offers Internet connection, including GPS. 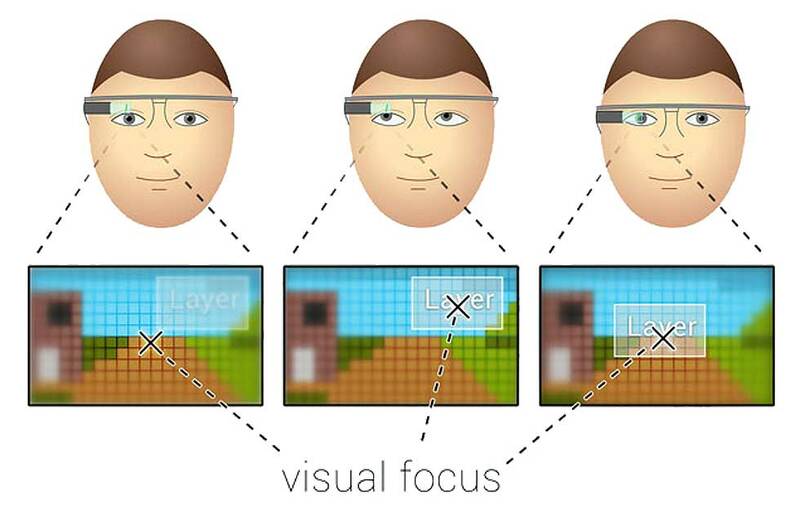 The core feature of Google Glass is a visual layer that is placed over the reality ("augmented reality"). This layer opens a door to amazing new possibilities. But how does it work? 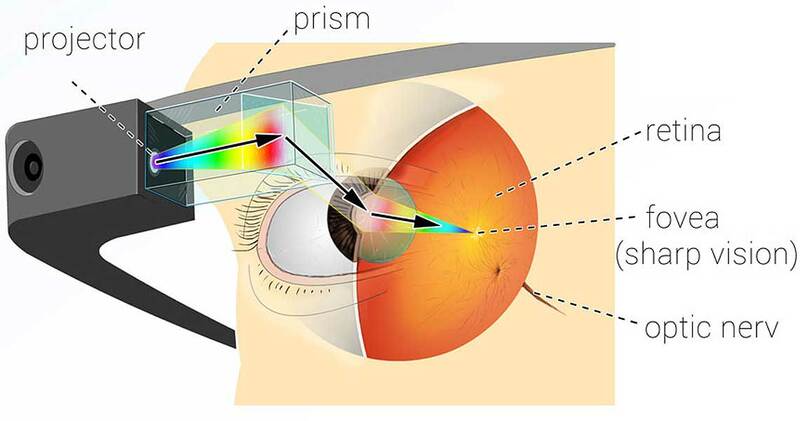 In the Google Glass contains a mini-projector, which projected the layer via a clever, semi-transparent prism directly on the retina in the eye. Because of this the image, even though it is so close to the eye, is sharp and clear. 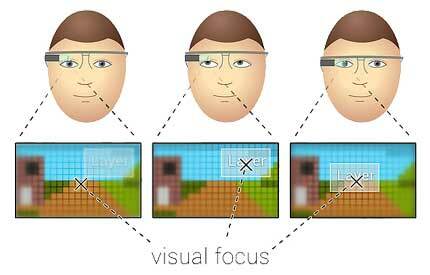 You can move the front part of the Google Glass easily to optimize the focus. Here the top-view on the eye. 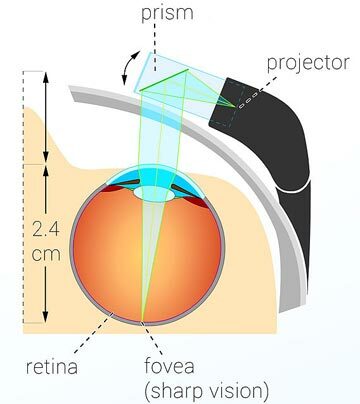 It shows how the prism focuses the image on the retina (Fovea = Point of sharp visual image). The biggest challenge for Google will now be to make the Google Glass also usable for people with normal glasses (to compensate for a low vision). In this case the Google Glass has to be placed ahead of normal glasses - which doesn't look and feel well or like a glass. Or Google has to manufactor individual customized prisms, but this would be considerably more expensive than the standard production. How does it work, Googles new Glass? Why can you see with it a sharp image-layer? How does the image overlay the image of reality? The following infographic illustrates the optical principle - very simple and easy to understand. This infographic is licensed unter Creative-Commons-Lizenz CC-BY. Feel free to use and share it - but don't forget to mention the author (Martin Missfeldt) and a link to this page as the source.